"Potemkin" redirects here. For other uses, see Potemkin (disambiguation). Unless otherwise stated, this article uses dates from the Julian calendar ("old style", or O.S. ), which was in use in Russia throughout the period, in preference to the more modern Gregorian calendar ("new style", or N.S.). Prince Grigory Aleksandrovich Potemkin-Tavricheski (Russian : Григо́рий Алекса́ндрович Потёмкин-Таври́ческий; r Grigoriy Aleksandrovich Potyomkin-Tavricheskiy; October 11 [ O.S. September 30] 1739 [nb 1] – October 16 [ O.S. October 5] 1791) was a Russian military leader, statesman, nobleman and favourite of Catherine the Great. He died during negotiations over the Treaty of Jassy, which ended a war with the Ottoman Empire that he had overseen. Prince of the Holy Roman Empire was a title attributed to a hereditary ruler, nobleman or prelate recognised as such by the Holy Roman Emperor. Potemkin was born into a family of middle-income noble landowners. He first attracted Catherine's favor for helping in her 1762 coup, then distinguished himself as a military commander in the Russo-Turkish War (1768–1774). He became Catherine's lover, favorite and possibly her consort. After their passion cooled, he remained her lifelong friend and favored statesman. Catherine obtained for him the title of Prince of the Holy Roman Empire and gave him the title of Prince of the Russian Empire among many others: he was both a Grand Admiral and the head of all of Russia's land and irregular forces. Potemkin's achievements include the peaceful annexation of the Crimea (1783) and the successful second Russo-Turkish War (1787–1792). The Russo-Turkish War of 1768–1774 was an armed conflict that brought Kabardia, the part of the Yedisan between the rivers Bug and Dnieper, and Crimea into the Russian sphere of influence. Though the victories accrued by the Russian Empire were substantial, they gained far less territory than otherwise would be expected. The reason for this was the complex struggle within the European diplomatic system for a balance of power that was acceptable to other European leading states, rather than Russian hegemony. Russia was able to take advantage of the weakened Ottoman Empire, the end of the Seven Years' War, and the withdrawal of France as the continent's primary military power. 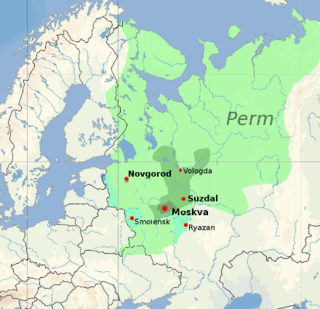 This left the Russian Empire in a strengthened position to expand its territory but also lose temporary hegemony over the decentralized Poland. The greater Turkish losses were diplomatic in nature seeing its full decline as a threat to Christian Europe, and the beginning of the Eastern Question that would plague the continent until the end of the Ottoman Empire in the early 20th century. 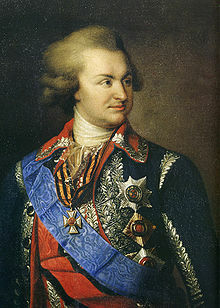 In 1774, Potemkin became the governor-general of Russia's new southern provinces. An absolute ruler, he worked to colonize the wild steppes, controversially dealing firmly with the Cossacks who lived there. He founded the towns of Kherson, Nikolayev, Sevastopol, and Ekaterinoslav. Ports in the region became bases for his new Black Sea Fleet. Kherson, Russian pronunciation: [xɛrˈsɔn]) is a city in southern Ukraine. It is the administrative center of Kherson Oblast (province), and is designated as a city of oblast significance. Kherson is an important port on the Black Sea and Dnieper River, and the home of a major ship-building industry. Its population was 294,941 (2015 est.). His rule in the south is associated with the "Potemkin village", a ruse involving the construction of painted façades to mimic real villages, full of happy, well-fed people, for visiting officials to see. Potemkin was known for his love of women, gambling and material wealth. He oversaw the construction of many historically significant buildings, including the Tauride Palace in St. Petersburg. In politics and economics, a Potemkin village is any construction built solely to deceive others into thinking that a situation is better than it really is. The term comes from stories of a fake portable village built solely to impress Empress Catherine II by her former lover Grigory Potemkin during her journey to Crimea in 1787. While modern historians claim accounts of this portable village are exaggerated, the original story was that Potemkin erected phony portable settlements along the banks of the Dnieper River in order to impress the Russian Empress; the structures would be disassembled after she passed, and re-assembled farther along her route to be viewed again as if another example. Tauride Palace is one of the largest and most historic palaces in Saint Petersburg, Russia. Pyotr Ivanovich Potyomkin (Potemkin) (1617–1700) was a Russian courtier, diplomat and namestnik of Borovsk during the reigns of Tsars Alexis I and Feodor III. He was a voivode during the Russo-Polish War (1654–1667) and took Lublin in 1655 as well as Nyenschantz and Noteborg in 1656. Later he became a stolnik working as a Tsar's ambassador. The only way I can express my gratitude to Your Majesty is to shed my blood for Your glory. This war provides an excellent opportunity for this and I cannot live in idleness. Allow me now, Merciful Sovereign, to appeal at Your Majesty's feet and request Your Majesty to send me to... the front in whatever rank Your Majesty wishes... [to serve] just for the duration of the war. Potemkin's forces succeeded in advancing deep into Ottoman territory, capturing the fortress at Izmail (lower left). The ultimate result of the war would be the ceding of the land between the Bug and Dniester (striped) to Russia. Everything I have ever wanted, I have... I wanted high rank, I have it; I wanted medals, I have them; I loved gambling, I have lost vast sums; I liked giving parties, I've given magnificent ones; I enjoy building houses, I've raised palaces; I liked buying estates, I have many; I adore diamonds and beautiful things – no individual in Europe owns rarer or more exquisite stones. In a word, all my passions have been sated. I am entirely happy! Despite attempts by Paul I to play down Potemkin's role in Russian history, his name found its way into numerous items of common parlance. The phrase Potemkin village entered common usage in Russia and globally, despite its fictional origin. A century after Potemkin's death, the Battleship Potemkin was named in his honour. The ship became famous for its involvement in the Russian Revolution of 1905 and subsequent dramatization in The Battleship Potemkin , a Soviet movie by Sergey Eisenstein, which at one point was named the greatest film of all time. The name of the giant seaside staircase in Odessa, featured in the movie, eventually became known as the Potemkin Stairs. 1 2 A number of dates as late as 1742 have been found on record; the veracity of any one is unlikely to be proved. This is his "official" birth-date as given on his tombstone. ↑ A previous town with the same founded in 1775 but in a badly chosen location was duly renamed Novomskovsk. ↑ Under the terms of the surrender, the garrison was allowed to leave unharmed, but three hundred guns were captured by the Russians in the process. ↑ Dolgorukaya was soon replaced by a new mistress, Sophie (de) Witte (nicknamed "The Beautiful Greek"), who was renowned in the courts of Europe at that time and had an accommodating husband. ↑ The talks, which were continued by Catherine's secretary and foreign minister Alexander Bezborodko, led to the Treaty of Jassy, in which Russia annexed a significant amount of land from the Ottomans. ↑ Sebag Montefiore, Simon (2010). Catherine the Great and Potemkin: The Imperial Love Affair. Hachette UK. ISBN 9780297866237 . Retrieved 2015-07-18. Then there was Potemkin's idea of invading Poland as grand hetman of the Black Sea Cossacks to liberate the Orthodox of eastern Poland. This combined his Polish ancestry, his regal ambitions, his enjoyment of drama, his Russian instinct to break the Polish Revolution - and his 'passion for Cossacks'. ↑ Drevni͡ai͡a i novai͡a Rossii͡a . Historical Illustrated Monthly. Vol.3, part 2. Saint Petersburg: Chromolithography and Typography of V.I.Gratsiansky, 1877. 177. ↑ Report on the 29th award of the Count Uvarov Prizes . Notes of the Imperial Academy of Sciences. Vol.59. Saint Petersburg: Imperial Academy of Sciences, 1888. 63. ↑ "Battleship Potemkin by Roger Ebert". Archived from the original on 2010-11-22. Retrieved 2010-11-28. ↑ "Top Films of All-Time" . Retrieved 28 November 2010. Prince Alexander Andreyevich Bezborodko was the Grand Chancellor of Russia and chief architect of Catherine the Great's foreign policy after the death of Nikita Panin. 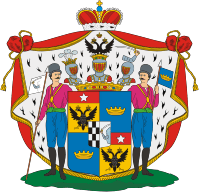 Orlov is the name of a Russian noble family which produced several distinguished statesmen, diplomats and soldiers. The family first gained distinction in the 18th century through the achievements of five Orlov brothers, of whom the second eldest was Catherine the Great's paramour, and two younger brothers were notable military commanders. The Russo–Turkish War of 1787–1792 involved an unsuccessful attempt by the Ottoman Empire to regain lands lost to the Russian Empire in the course of the previous Russo-Turkish War (1768–1774). It took place concomitantly with the Austro-Turkish War (1788–1791). Josep de Ribas y Boyons, known in Spanish as José Pascual Domingo de Ribas y Boyons and in Russian as Iosif (Osip) Mikhailovich Deribas, was a Neapolitan military officer in Russian service. 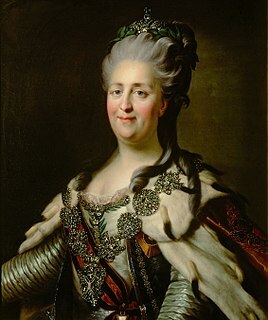 After Empress Catherine took advantage of Potocki's successful international trading post of the Polish Black Sea Trading Company, in Russian-ruled Kherson, she founded Odessa. 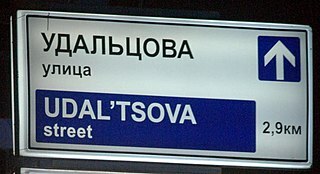 In recognition of de Ribas' famous victory at nearby Khadjibey, the future city's most famous street, Deribasovskaya, was named after him. Nikolay Nikolayevich Raevsky was a Russian general and statesman who achieved fame for his feats of arms during the Napoleonic Wars. His family left a lasting legacy in Russian society and culture. The Second Siege of Ochakov was one of the major events of the Russo-Turkish War (1787–1792). It was known as "Özi Kuşatması" in Turkish. Zofia Potocka née Clavone was a Greek slave courtesan and a Russian agent, later a Polish noble. She was famous in contemporary Europe for her beauty and adventurous life. 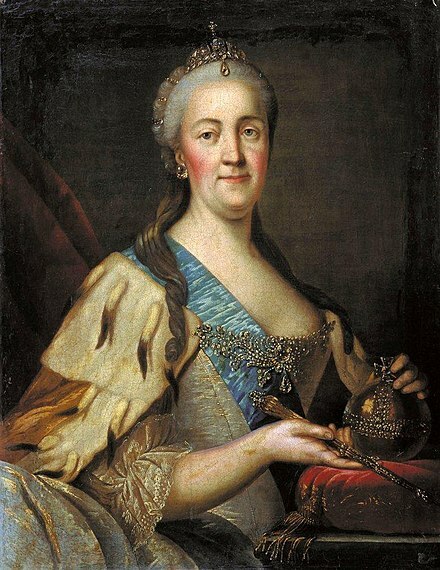 During the Russo-Turkish War (1787–92), she was the lover of the Russian commander prince Grigory Potemkin and acted as an agent in Russian service. Of the different branches of Cossacks, the only one that documents allowing Jews into their society were the Cossacks of Ukraine. Sidor Bely or Sydir Bily — Kosh ataman of the Black Sea Cossack Host. Semyon Zorich (1743–1799) was an Imperial Russian lieutenant-general and count of the Holy Roman Empire, born in Serbia, who served Imperial Russia against the Prussians and Turks. A member of the Russian court, he was presented to Empress Catherine the Great by Grigory Potemkin and, after having been tested by Praskovja Bruce and doctor Rogerson, became the Empress' lover. He was most influential in the commercial development of Shklov and Mogilev. Ivan Nikolajevich Rimsky-Korsakov, né Korsav was a Russian courtier and lover of Catherine the Great from 1778 to 1779. Alexander Semyonovich Vasilchikov was a Russian aristocrat who became the lover of Catherine the Great from 1772 to 1774. 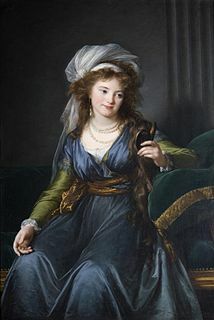 Varvara Vasilievna Golitsyna, née von Engelhardt (1757–1815), was a Russian lady in waiting and noble. She was the niece and lover of Grigory Potyomkin, and the favored lady-in-waiting of Catherine the Great. Yekaterina von Engelhardt was a Russian lady in waiting and noblewoman. She was the niece and lover of Grigory Potyomkin, and the favored lady-in-waiting of Catherine the Great. Alongside her sisters, she was given a favored position at the Russian Imperial court during the reign of Catherine, where they were described as "Almost Grand Duchesses", the jewels of the court and honorary members of the Imperial family. Kaus, Gina (1935). Catherine: Portrait of an Empress. Viking. Lieven, Dominic (2003). Empire: The Russian Empire and Its Rivals. Pimlico. ISBN 978-0-7126-0546-5. Łojek, Jerzy (1986). Geneza i obalenie Konstytucji 3 Maja (in Polish). Wyd.Lubelskie. ISBN 978-83-222-0313-2. Montefiore, Simon Sebag (4 October 2001). Prince of Princes: the life of Potemkin. London: Weidenfeld & Nicolson. ISBN 978-1-84212-438-3. Pascu, Giorge (1940). Calatori straini în Moldova si Muntenia în secolul XVIII : Carra, Bauer si Struve (in Romanian). Iaşi: Institutul de Arte Grafice "Bravo". Smith, Douglas (ed. and tr. ), Love and Conquest: Personal Correspondence of Catherine the Great and Prince Grigory Potemkin (DeKalb, Northern Illinois University Press, 2004). Soloveytchik, George (1938). Potemkin. Taylor & Francis. Retrieved 6 January 2011. Wikimedia Commons has media related to Grigory Potemkin . "Potemkin, Gregor Alexandrovitch". New International Encyclopedia . 1905.